Thank you for being such a great daughter and thank you for these amazing apple custard cupcakes that you made to celebrate Dad and my anniversary. 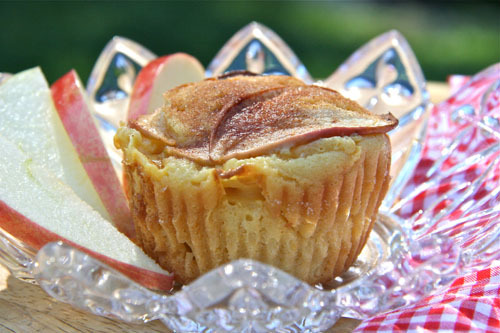 Categories: Cupcakes | Tags: apple cupcakes, apple custard cupcakes, apple custard tea cakes, Cupcakes by Pamela Clark | Permalink. An Apricot and Chocolate Chip Toast to Twenty Years! We just celebrated our twenty year anniversary. This soft but sturdy loaf of apricot and chocolate chip delightfulness was made to start our day as a sweet toast to our marriage. 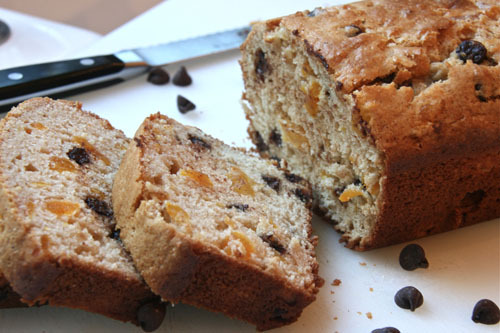 It’s a perfect summery change from banana bread and does not knock you out with sweetness. Categories: Bread | Tags: apricot chocolate chip bread, apricot nut loaf; apricot quick bread, Secrets of a Jewish Baker | Permalink. It’s been awhile since I posted. That happens. Life happens. 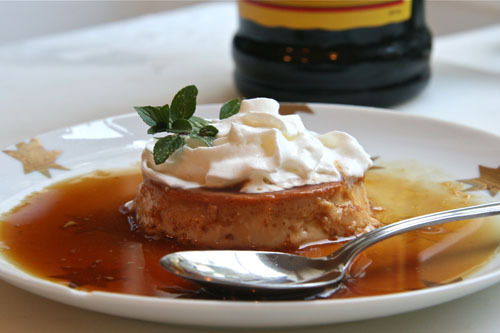 This flan is yum…especially with Kahlua generously poured over the top and finished with a dollop of whipped cream. I have to warn you though, while the texture is perfection and the flavor creamy and sweet, I really didn’t taste the mango. Just thought I’d share that and be totally honest here. 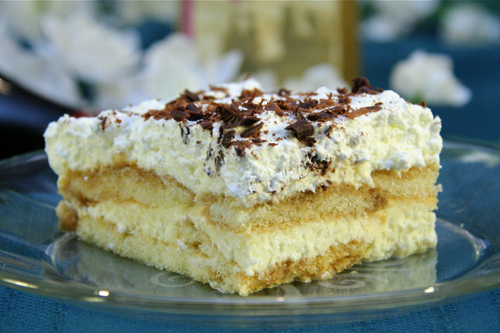 Categories: Other Desserts, Salads | Tags: flan, mango flan, Mexican Caesar salad dressing | Permalink. I have been L-A-Z-Y lately in the baking department because life just has other ideas than seeing me happily chirp away in my kitchen. 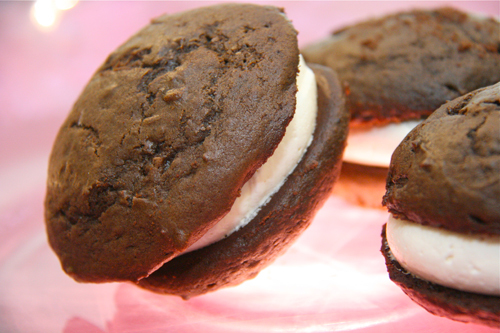 So I have decided to share my ideal Fourth-Of-July Menu from the the Blogosphere. I have rudely stolen these photos from each one’s blog so I hope that’s OK folks. Have a great weekend! 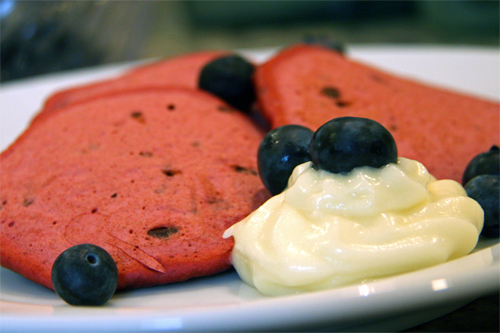 Crazily, and not humbly, I would start the holiday with my own Red Velvet Pancakes. No one who is a regular follower is surprised that I would choose my OWN recipe…I am not exactly the type who shyly and sweetly stands in the background with my baked goods. Categories: Uncategorized | Tags: Fourth of July meal ideas, Fourth of July Round-up | Permalink.